Trees without earth : MARCELA MORAGA M.
The Canelos are sacred trees for the Mapuche people (indigenous inhabitants of Southern Chile). There is a connection between them, the earth, the sky and the space. This connection makes sense of a worldview which is being attacked by Chilean and European Hydroelectric companies that are moving into Mapuche lands. During the Spanish colonization times, the Mapuche people symbolized the canelo flower as a star. This star was stamp on a black flag. 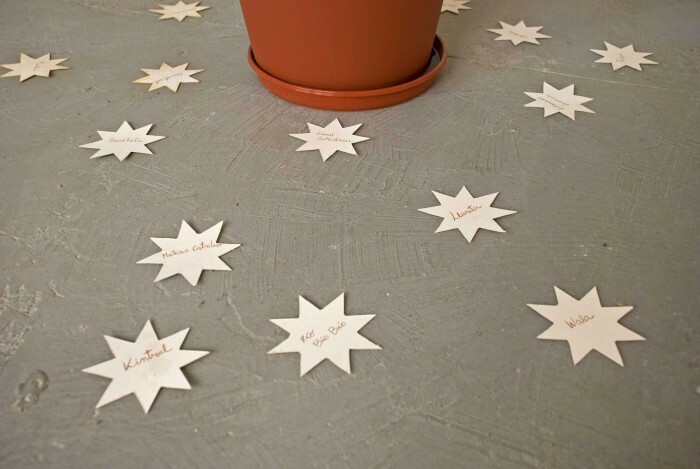 In the installation the stars have names of Mapuche victims written on them as homage to their fight, besides names of trees, animals and rivers that are part of the lost worldwide. 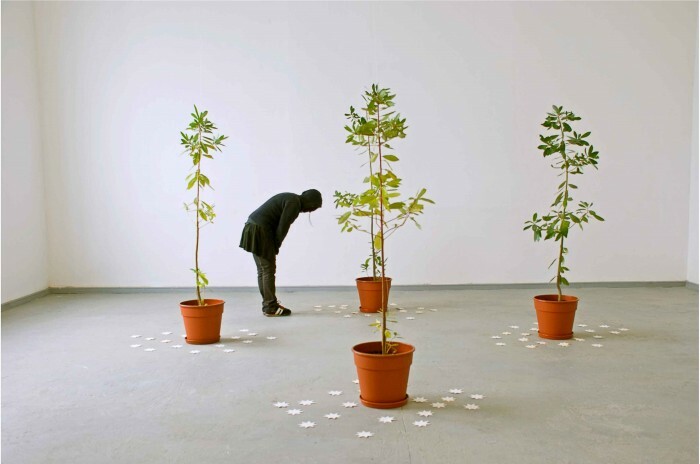 The installation consists of four young canelos planted in flowerpots and cardboard stars.